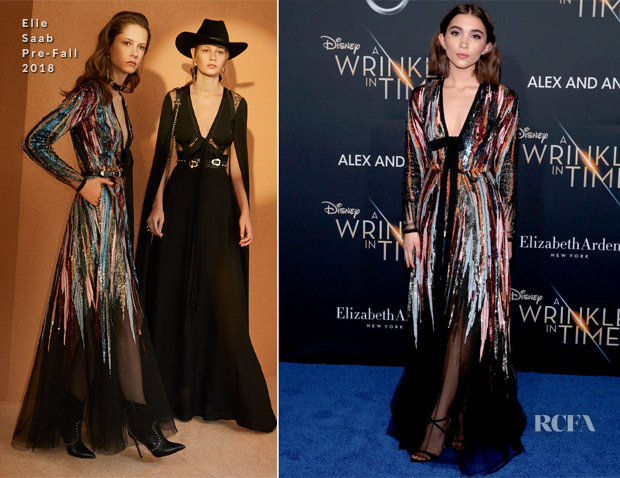 Rowan Blanchard is one person you may have expected to go down the Disney princess route for premiere of ‘A Wrinkle In Time’ on Monday (February 26) in Los Angeles, California, but she opted for some high glamour courtesy of Elie Saab instead. The teen actress shimmed into the spotlight wearing a sheer Pre-Fall 2018 dress embroidered with colourful sequins which glisten for the most ornate finish. This was such a chic offering, serving up nothing but classic evening elegance. She totally nailed the look.